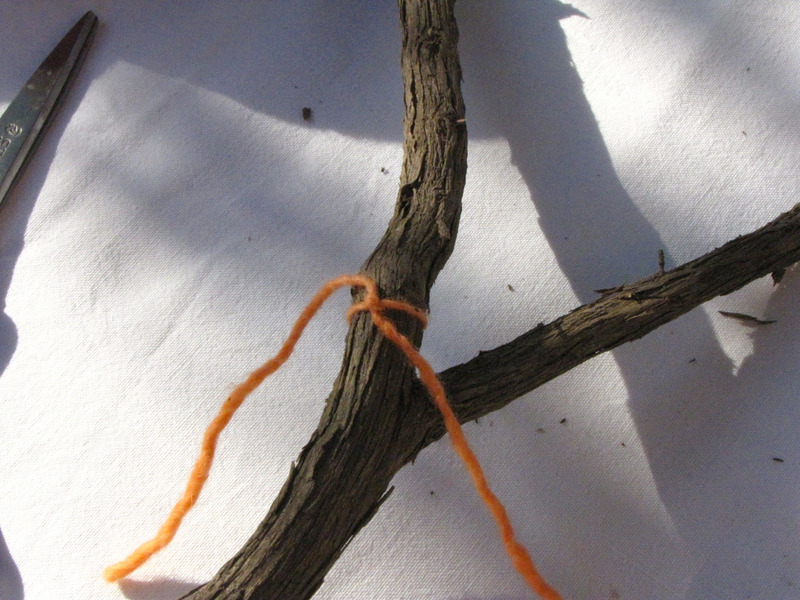 Tie on some yarn at the bottom of the V and wind your warp onto your branch. 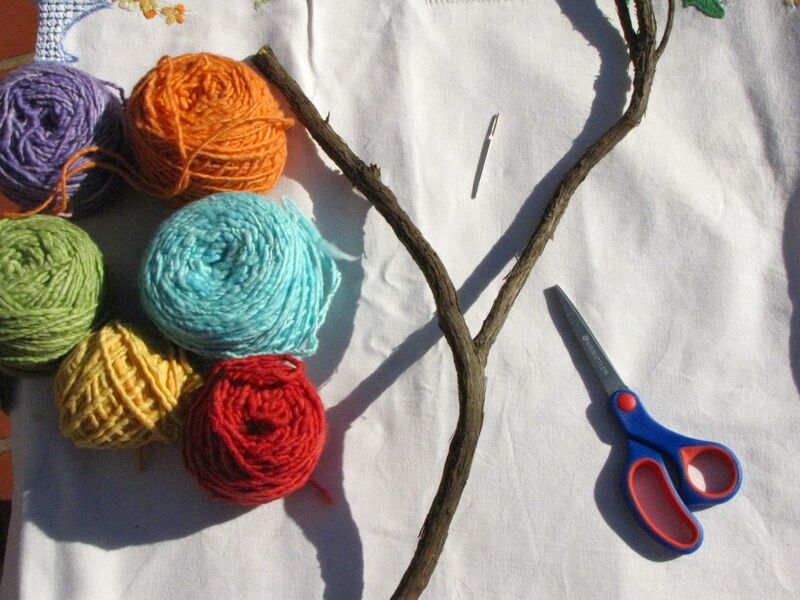 Twist your yarn firmly around each branch twice and make sure it is quite tight. Tie on your first colour, thread your needle and start weaving in and out of your warp thread. That colorful yarn looks beautiful woven across the branches. Thank you for the tutorial! This is something we love to do, and always on the lookout on forest walks for ideal branches. 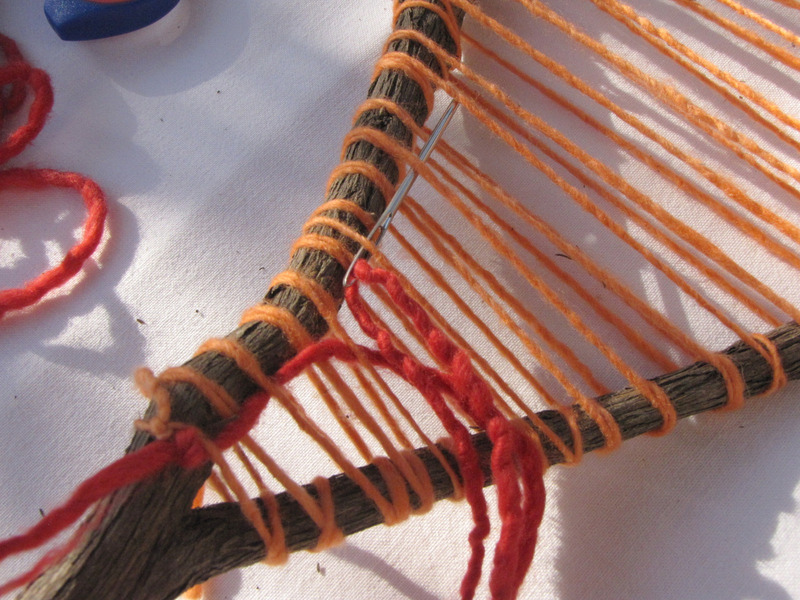 We often weave with roving too. Very colourful and very simple. Thank you for sharing. You always have the best ideas. W O W!!! I’m going to print this and put it away for a year or so… it’s wonderful and I can’t wait to try it when my daughter is old enough. Thank you. First, just the opening photograph gave me great and quiet pleasure – the colors of the yarn. Then the texture. Then the weaving and the natural bent of the wood. Then it pleased me to see the arms of the branch all bound in orange, as it if were a harp, strung with sting that came spinning out of the hand of anchored happiness. I have heard the wind play the strings of a harp, and I know how that sounds- much like the weaving looks. They just turned out so beautifully! I’m going to be scanning the ground for branches now!! Always looking forward – to see what you have made this time! What a fun idea! It turned out so lovely too! gorgeous colors!! we have done these with found nature objects. i like the bright yarns! Wow! thank yo Erin and Linda fabulous idea and such a beautiful rainbow ~ can’t wait to show the big girl and see if she would like to make one too. Stop by my blog to pick up an award that I left for ya 🙂 By the way, I love your header … it’s so very peaceful & relaxing to look at. Wow. Just, wow. This is amazing! Would it be ok for me to do this at our Family Camp next summer? I wish I’d had this over the weekend! Great tutorial!…We will have to try that :-)…Thanks Linda! Other than the exercise for the little one’s, I was wondering what you do with the cloth that you’ve woven? I have a tree branch! I have the needle! Beautiful! Now can i ask a maybe ignorant and hopefully not insulting question- what do you do with them when you’re done? Hang them as decorations? Take the weave off the branch and use it for something? Just curious? xo m.
My daughter would love doing this! Some of my boys I think as well. I’ve never seen these turn out as beautiful as yours! So, so beautiful, my friend! 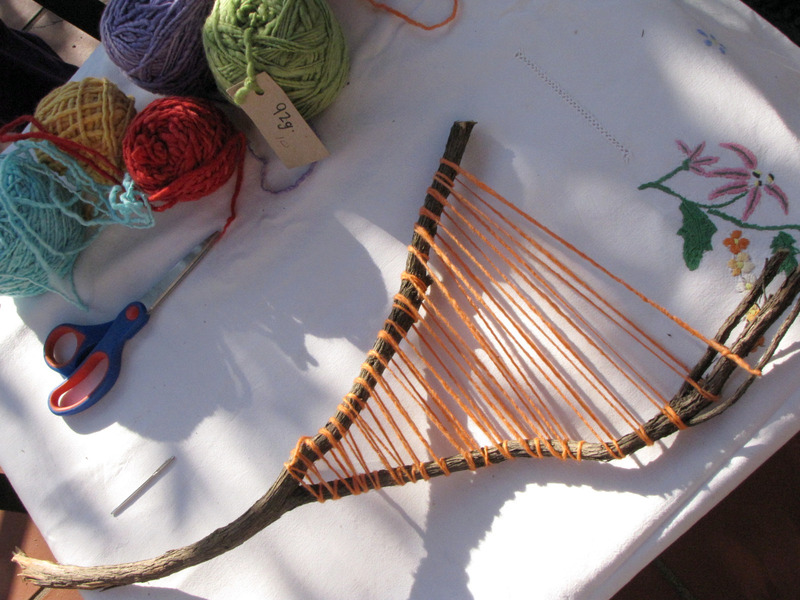 those are just lovely, we found branches the other day meaning to do some weaving, now I am so inspired to get to it.. This is awesome timing! 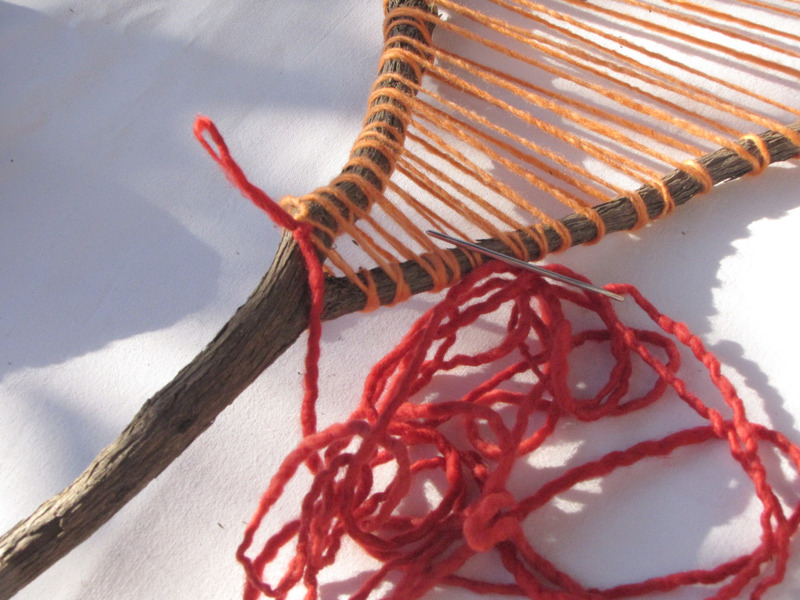 I just collected my sticks this week for our weaving project that I have planned for this fall. 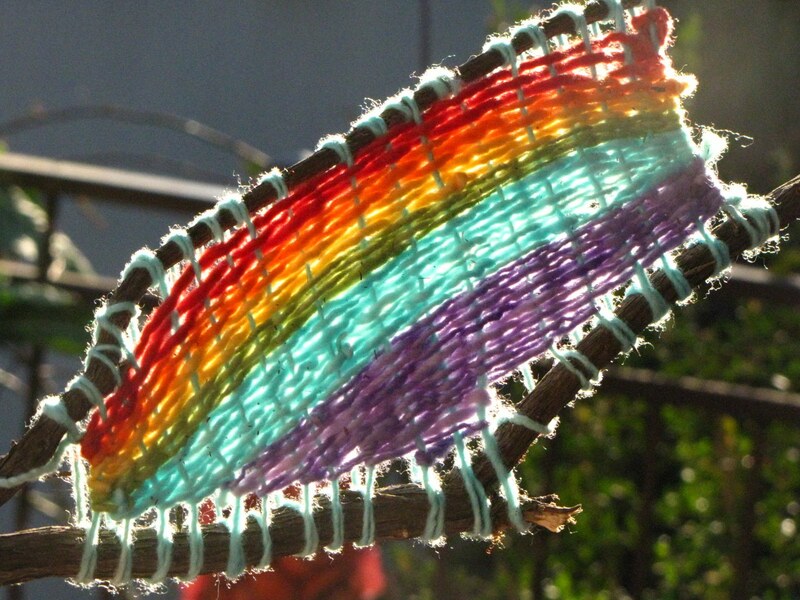 I love your use of rainbow yarn. I will definitely be bookmarking this for future reference! Thank you!!! We just made these this week. Like I mentioned in an earlier comment, we followed your tutorial. My daughter was mesmerized by your beautiful yarn. Thank you!!! What a wonderful idea! I tried something similar with god’s eyes but it was very difficult and I often had to add a branch to make it work. But weaving! Brilliant. A large vase of these would be stunning in the corner of a studio. THis is a really beautiful project! So glad to find you. We’re also from South Africa and my girlslove nature and crafts, so I’m sure they’ll enjoy this! What a beautiful craft. I can’t wait to try this out with my nature class. Your blog is an absolute joy-a feast for the eyes. Wishing you a beautiful day……….Marghanita. 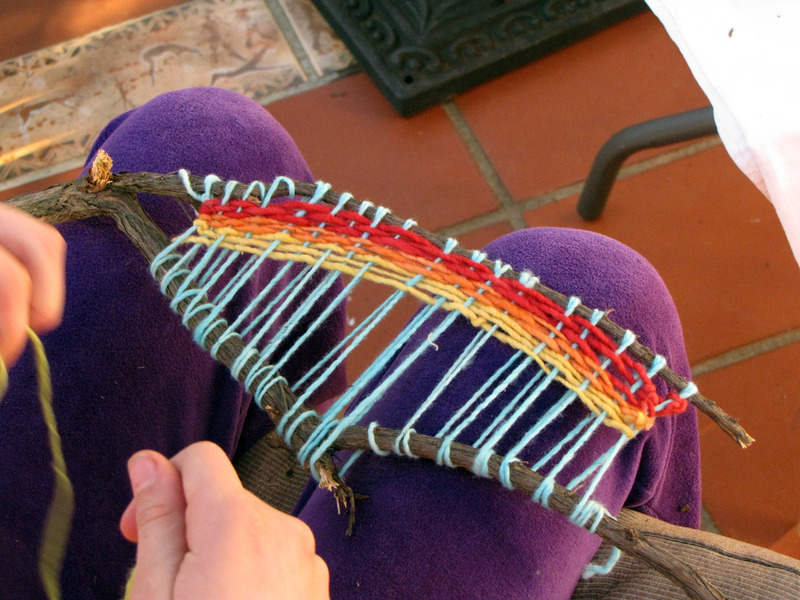 What a wonderful and beautiful weaving project! Thanks SO much for the tutorial. I am looking for classes to teach kids through our Arts Council and I think this one will be a hit. I better get out in the woods and find some branches…. Great! Going to do this soon, love it and love your blog! Wonderful idea!!! thanks for sharing it!! lo pondré en práctica, gracias por compartirlo! i like it very very match!!!! Very beautiful. My children would like to do this. I have a question about the weaving. Do you weave in and out of both the top and bottom warp threads? Thank you Tracy:) We just wove in and out of the top threads. What a gorgeous project! I was wondering what brand of yarn you used? This makes me so happy to look at . Thank You for sharing such a simply divine idea. I will make on as well. Thank you so much for this, I’m going to try it this afternoon with my two year old and some of his own hand-painted yarn! These are simply beautiful and I can’t wait to give it a try with my girls! Off to take a look around your lovely blog! Absolutely beautiful! Love the bright, cheery colours! I would love to have a copy of your book to use for my 5 years old daughter..Thanks! 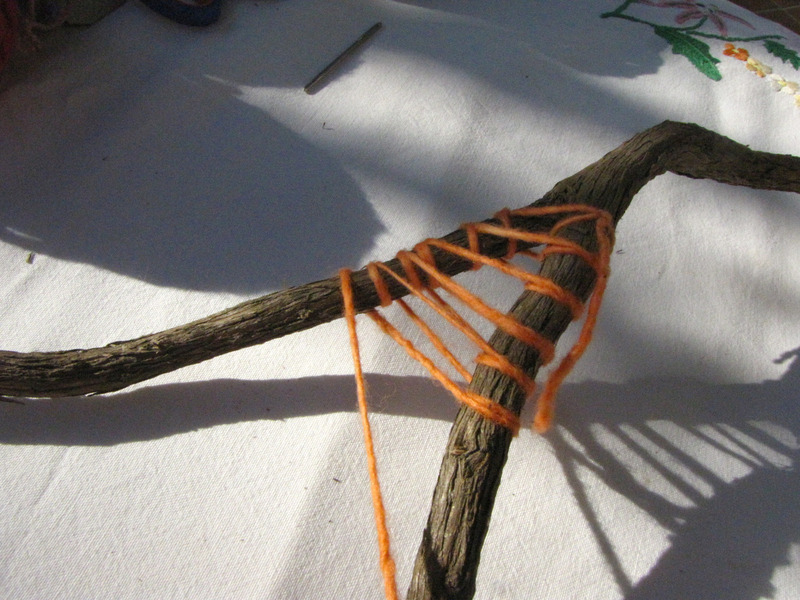 I did put your blog name on, we are trying stick weaving. Thank you for your great ideas, off to browse your patterns for sale now. Christine in New Zealand.